Long combo is a high-risk high-reward strategy. If successful you can double your money in a few days. If not you may lose a lot in a few days. NOTE: At the time of writing this post Nifty Lot size was 50 please keep this in mind while reading. 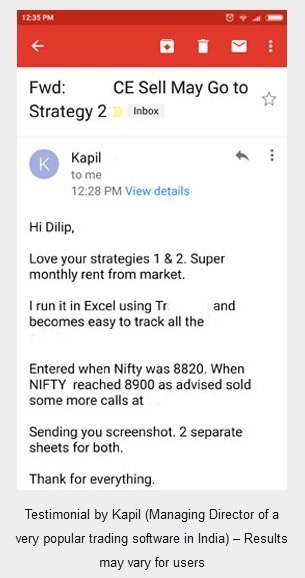 Who knew at that time that Nifty will move up more than 20% within 2 months? At the time of writing today Nifty closed at just a few decimals below 6300. Now lets go back to the long combo. If you are absolutely certain of a STRONG up move (STRONG as in ALL Caps) you can implement this strategy. Again a warning: this strategy should be implemented only if you are absolutely certain of the move else your losses can be unlimited. Lets go back to August 2013. If someone wanted to implement this strategy what he needs to do is this. He will sell a ATM/OTM (At The Money or Out of The Money) Put. Say he sells 4900 Put for 25. With the money he receives he buys a OTM call. Lets suppose he then goes on to buy 5500 call for 25. How much does it cost him to buy the call? ZERO!!! You see when he sold the 4900 put he got Rs.50*25 = 1250 in his account. Using this money he then buys the 5500 call for 25. 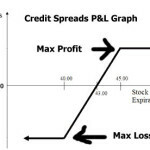 As you can see from the image above – If Nifty remains between 4900 and 5500 before expiration the trader neither loses money nor makes any money. 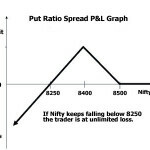 But if Nifty is below 4900, the trader losses money because the sold put will be in the money. 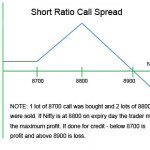 If Nifty is above 5500, the call will be in the money and the trader makes a profit. The beauty of the trade is that the trader did not pay a single rupee to buy the call from his pocket – when he sold the put he got that money. So essentially whatever he makes from selling the call is his profit. Imagine after the trade Nifty starts to move up and how. Now lets suppose Nifty reaches 5600 within a few days. You know what will be the value of his 5500 call? More than 100 + the premium as it is still some time for expiry. Which also means if he sells the call he will make 4+ times his investment that actually cost him nothing. People with a lot of money and some knowledge do this: What if you sold puts worth 1 lac and bought 80 lots of 5500 calls ((100000/50)/25 = 80) and sold it at 125? ROI = Is there any point calculating this? BTW I have myself seen a call go from 1 to 15 in a few days. 15 times your money in a few days. That’s Nifty option for you. As always, so why people don’t do this? Other than a few very rich investors who have appetite for risk, no one does this. WHY? Lets discuss what happens if his view was wrong? Lets simplify this to 2 lots. 2 lots sold (4900 put) and 2 bought (5500 call) – both at 25. Nifty at 5200. 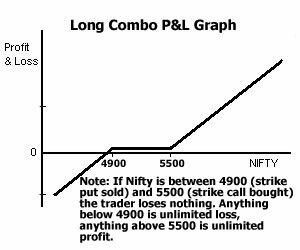 You see the beauty of this strategy is this that if Nifty does not go below 4900 – the person who has done this is at no risk. But what happens if it starts moving below 4900? Lets also suppose he does nothing and waits till expiry hoping against hope that Nifty will not expire below 4900. But unfortunately hope has no business in Nifty trading. He was wrong and Nifty expired at 4700. How much is his loss? The loss keeps increasing depending on how deep Nifty closes. Do you want to see how much did that wealthy man who sold 80 lots lose? Ok a smart investor will actually take a stop loss much earlier. But this was required to tell you how much losses you can make if you are slightly negligent. Basically it becomes a naked option sell where you need to know where to stop your losses if required. Another problem with this strategy is that if you were right you may not be able to predict the markets and will book profits much earlier. Well over a long period of time you will NOT be right every time and one loss can wipe out your entire profits of months. Therefore Long Combo should be done when you are 100% certain of a move. Note that this can be reversed also if you feel Nifty will fall sharply. In that case you will have to sell calls and buy puts. You will be long on puts and short on calls. The results will be same. That is if Nifty falls you make unlimited money and if it goes up you make unlimited losses. Again Long combo is a great strategy but a double edged sword. If your view was right, you profit from both calls and puts, but both will make losses if your view was wrong. Therefore this strategy is played mostly by professionals. It is better to trade without thinking about the direction. Even if you are 100% sure sometimes the move does not come or moves comes in opposite direction. This is where most traders lose money. That is the main reason I do not predict direction still make money almost every time. 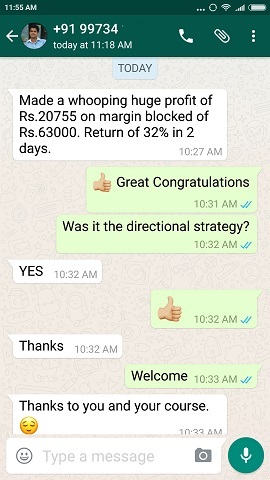 Most option traders do not know that options are great to trade non-directional strategies where they can make good money without bothering about direction. 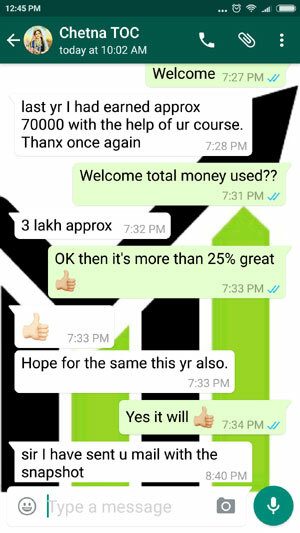 That is the reason I have designed a course which can help you learn these strategies. Remember when direction is not involved you can trade peacefully. Forget about money, if you are not living a peaceful life then what difference money can make whether you have it more or less? 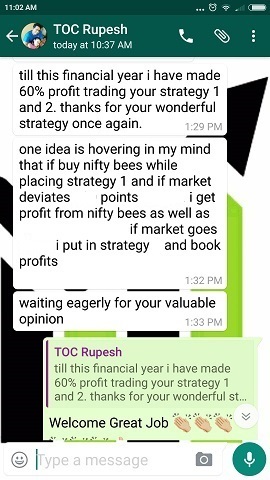 Again a Wonderful strategy explained thoroughly by the Master of Options. I may try it on coming Monday after the Outcome of Greece! Oh Great. Please share your experiences here after the trade is over. Thanks. but before the brexit premium were too high to take long combo. the cost for taking the long combo was almost ₹180. after brexit it was profitable. 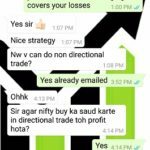 Yes that is why it is good trade only when you are certain of huge move else do not trade.